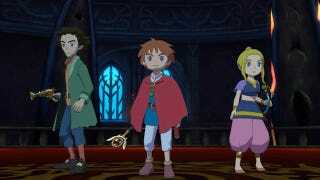 Many of the people who pre-ordered the special edition of Ni no Kuni from publisher Namco Bandai's online store still haven't received their copies. There seem to be all sorts of issues surrounding inventory and distribution of the new PS3 role-playing game. A lot of people are pissed off. Now there's a new wrinkle: some members of the Namco forums have discovered an eBay user selling the $99 Wizard's Edition for a very healthy profit. In fact, eBayer PlayCanada (an online store that's part of the digital auction house) seems to have pawned off more than 200 copies of Ni no Kuni's special box. All sold for far more than the listed price. This might lead you to wonder: if Namco is having issues getting Ni no Kuni Wizard's Edition to the people who bought it directly, how has this one eBay user sold so many of them? Good question. 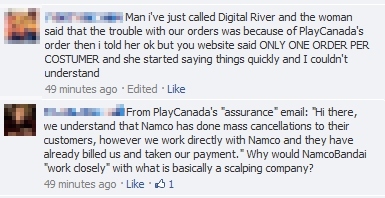 Some people say PlayCanada told them that the eBayers worked directly with Namco for this sale, which seems a little funky. And of course, people are heading to the Better Business Bureau to file complaints. There's also a Facebook group for people having issues with their pre-orders. I've reached out to Namco once again to ask for clarification/comment and will update should they get back to me.